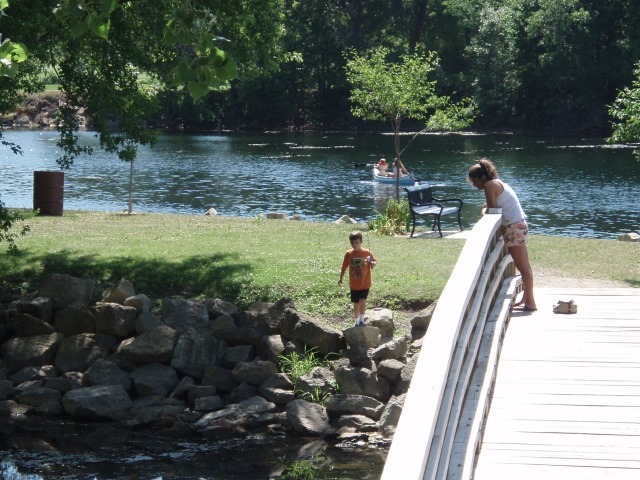 Owatonna, Minnesota is just an hour south of Minneapolis and it is a popular family destination, especially when the weather warms up. 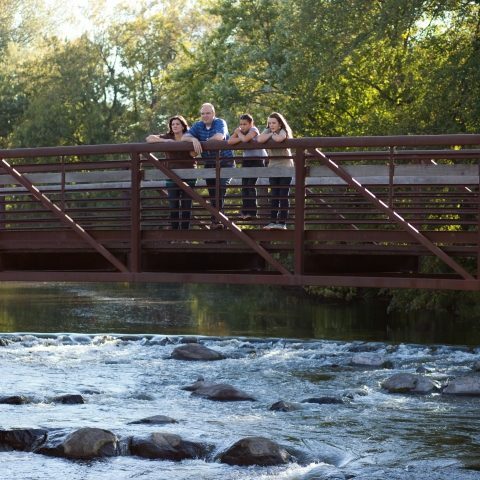 In addition to spending time at Owatonna’s many attractions, you can enjoy an outdoor concert, peruse local murals and play a game of disc golf with your friends all in the same day. The first thing you might want to get on your calendar in Owatonna is the number of outdoor concerts and music events that take place late spring and early summer. On Thursdays in the summer, locals head over to Central Park in Owatonna to listen to live music during the 11@7 Concert Series. Another fun music event is the Harry Wenger Marching Band Festival, an annual event where several high schools compete for the title of best marching band. 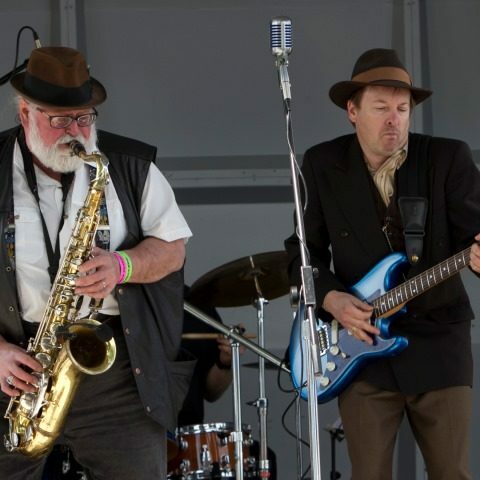 Finally, you won’t want to miss an event in Owatonna that celebrates one of our favorite types of music (blues) and one of our favorite types of food (BBQ). 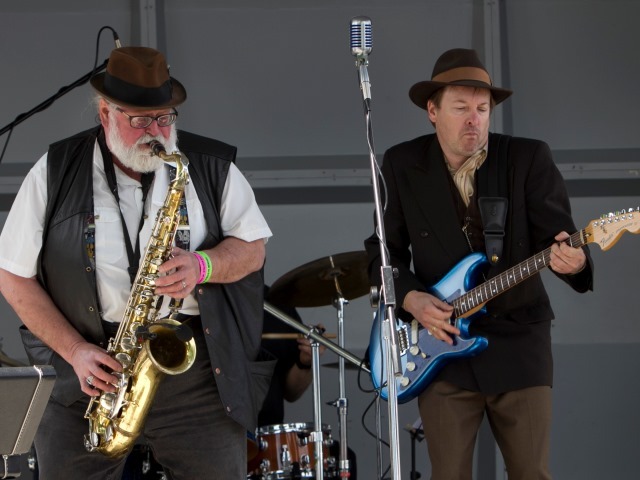 The Smokin’ in Steele BBQ and Blues Festival held in June is one of Owatonna’s most popular events. Another fun cultural attraction in the spring and summer is taking a self-guided tour to see the local murals scattered around downtown Owatonna. Many of the murals reflect the heritage and history of the city’s community, painted by local artists. Take a stroll around the downtown district and go on a scavenger hunt for the four most well-known murals: The Little Red School Mural and Main Street Mural at Pocket Park, the Owatonna Gateway Mural by Straight River Sports & Fitness, and the Fire Hall Mural on the side of Firemen’s Hall. 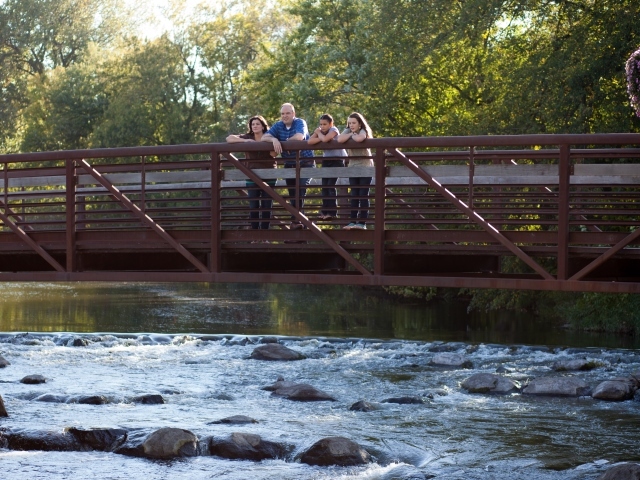 Take advantage of the great weather by spending your day outdoors and exploring nature trails. Any hiking or camping gear needed before your trek can be found at Straight River Sports & Fitness, and Cabela’s World’s Foremost Outfitter—a destination in an of itself. They are both great options for stocking up on supplies before heading out for a day of biking at Kaplan’s Woods Parkway, the 225-acre recreation area with multiple trails including a mountain bike trail system. Other trails include the Buxton and Muckle Trails along the Straight River, which have scenic routes throughout the city and parks. Nearby Rice Lake State Park is another beautiful destination for biking, hiking and canoeing for a relaxing afternoon. If you’re traveling with a group, consider a round of disc golf at Mineral Springs Park. Long and short t-boxes are easily labeled, and instructions to play are explained on signs in the park for amateur players. For a more traditional game of golf (sort of), head to the 18-hole Waters Edge Miniature Golf Course. The course is designed to accommodate guests of all ages, making it easy for small children to participate. Owatonna is also home to some bona fide professional golf courses like Brooktree Golf Course, Owatonna Country Club and Havana Hills Golf Course. Reservations in advance are required. However, for a more unusual game, pickleball can be played at Morehouse Park Courts—racquet-style game quite similar to badminton and tennis. A refreshing dip in the pool or lake will be the perfect antidote when the summer gets hot. Head over to River Springs Water Park with your family, where you’ll find various kinds of slides, a lazy river and a pool wall to climb. Guests can also bask in the sun at Lake Kohlmier. If you’re looking for something more romantic, plan a picnic with a date next to the Morehouse Bridge that is known for its scenic view that overlooks the Straight River. Lovers of the outdoors may want to extend their day of being outside by camping out on some of Owatonna’s designated campsites. River View Campground along the Straight River has fun amenities of a heated swimming pool and miniature golf for campers to enjoy during their stay. Nearby, Hope Oak Knoll Campground is known for the site’s easy access to horseshoes track and a game room. When night falls, both campsites start up their own bonfires for campers to roast marshmallows. Rice Lake State Park is another seasonal campsite where campers can rent a canoe or kayak within steps of their tents. In Owatonna, there are countless activities to plan for a summer vacation with your children including a trip to the Reptile and Amphibian Discovery (RAD) Zoo that has an impressive collection of more than 150 critters. Among the animals found at the zoo are snakes, turtles, crocodiles, frogs and many more. During the weekend, families can watch a live feeding of the crocodiles and snakes while a staff explains the biology and temperament of each creature. While there, make plans to visit a boa constrictor that goes by the name “Johnson” and once belonged to the famed Justin Bieber. 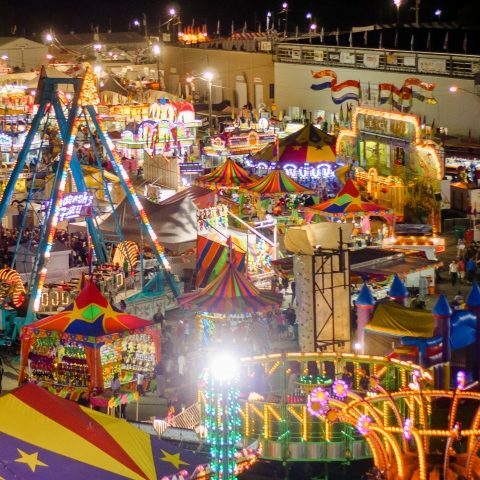 In August, the fair is in town. 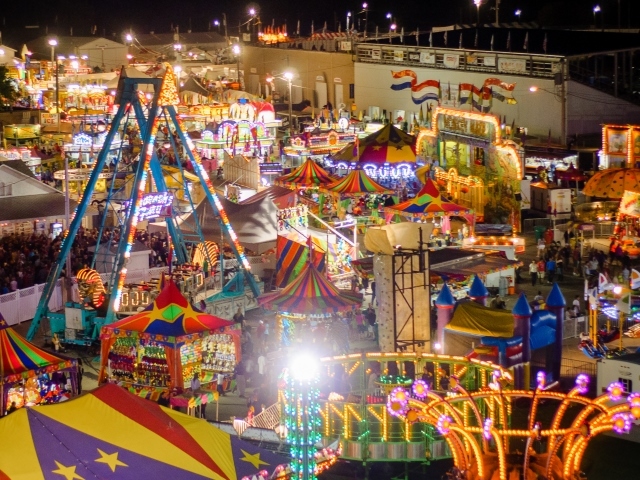 The Steele County Free Fair brings in exciting petting zoo of exotic animals, traditional and entertaining rides, and tons of carnival-style food (think funnel cakes and s’mores). This event has no admission fee, making it easy for families to visit multiple times and do something new each time. And sometimes, a traditional playground will do the trick in entertaining your kids. 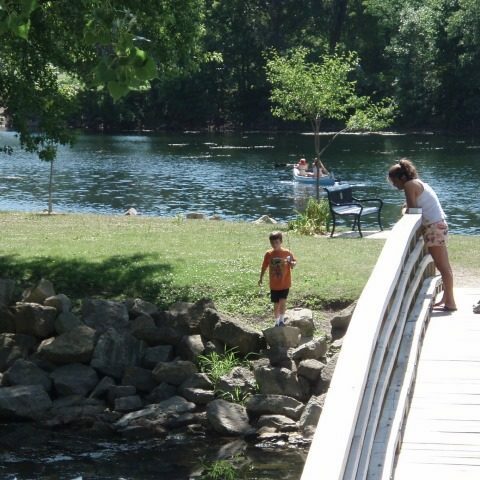 Fairgrounds Park in Owatonna is a favorite destination for both locals and visitors to bring their kids to run around and play with other children.